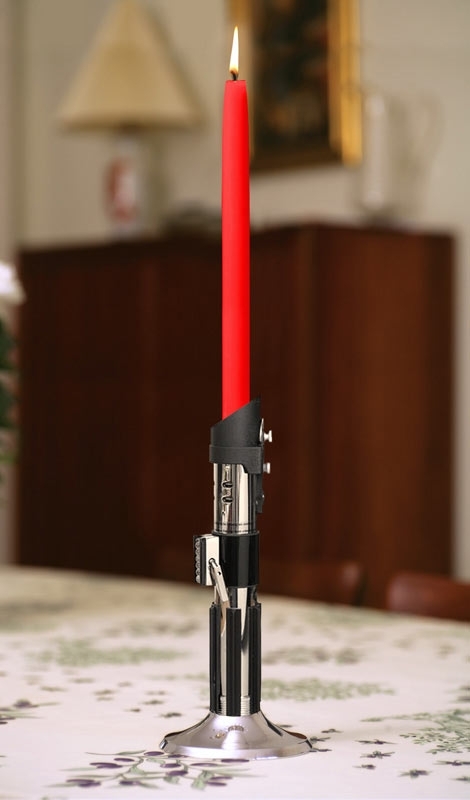 To continue on one of my most visited posts, here are some more Star Wars gadgets for entertaining and parties. 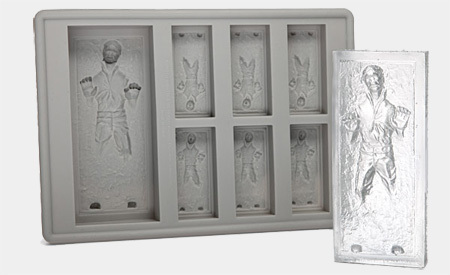 Han Solo in carbonite ice tray. 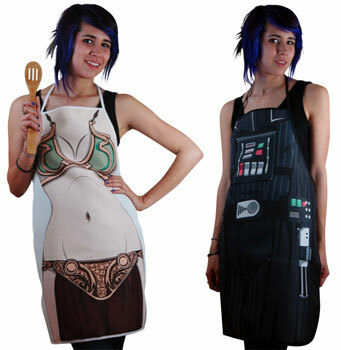 Princess Leia and Darth Vader aprons. Assorted stencils for sugar or cocoa. 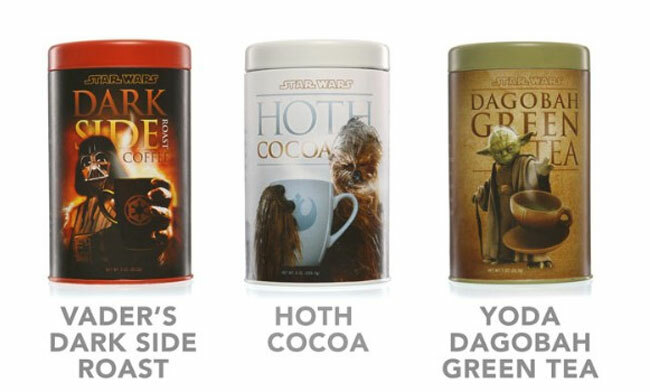 Star Wars hot beverage tins: Vader’s Dark Side Roast, Hoth Cocoa and Yoda Dagobah Green Tea. 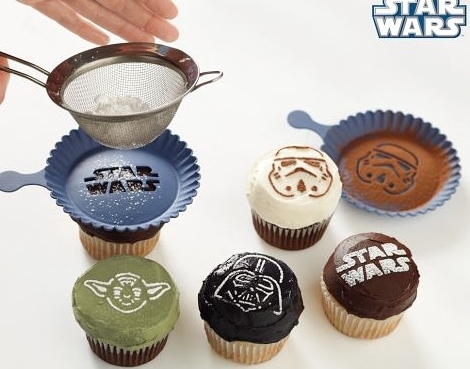 Posted on January 13, 2012 by maraoudenesPosted in party idea, styling tips, theme partyTagged aprons, candle holder, darth vader, green tea, princess leia, stencils.